Pink and Yellow Saltillo Tiles Driving You Nuts? 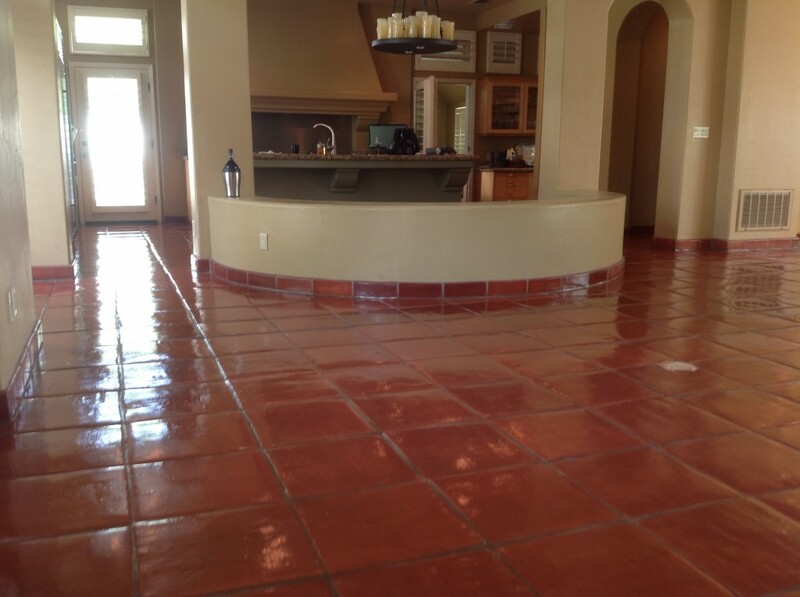 So you just bought a house, and don’t like the pink and yellow saltillo tile floors you inherited? It doesn’t match your decor, or your color palette. YIKES! You are in luck, there are options! Custom stain the floor whatever color you like. When Should I Stain My Saltillo Tiles? If you are starting your remodel, the floors should be the last project you do before the movers come. The reason we do this , is so that the contractors and workers don’t accidentally scratch or ruin the floor, and they can be a little more carefree and not as cautious. We want to help your transition go as smooth as possible, giving you the highest quality overall. 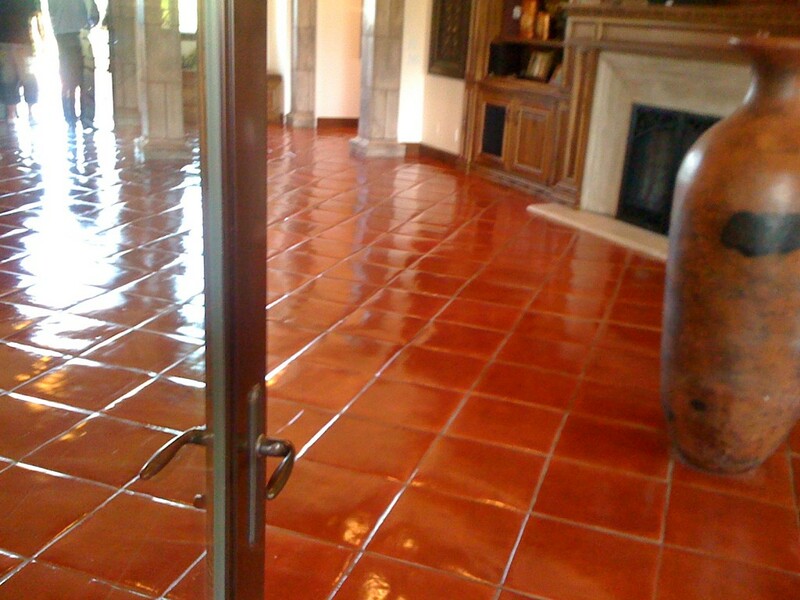 You can stain saltillo tiles a different color so that you can match your color palette to your home decor. Meet with your interior designer with much more knowledge and confidence in your decision making. Should I stain my grout? or not stain the grout and have a more solid looking color to match your desires. 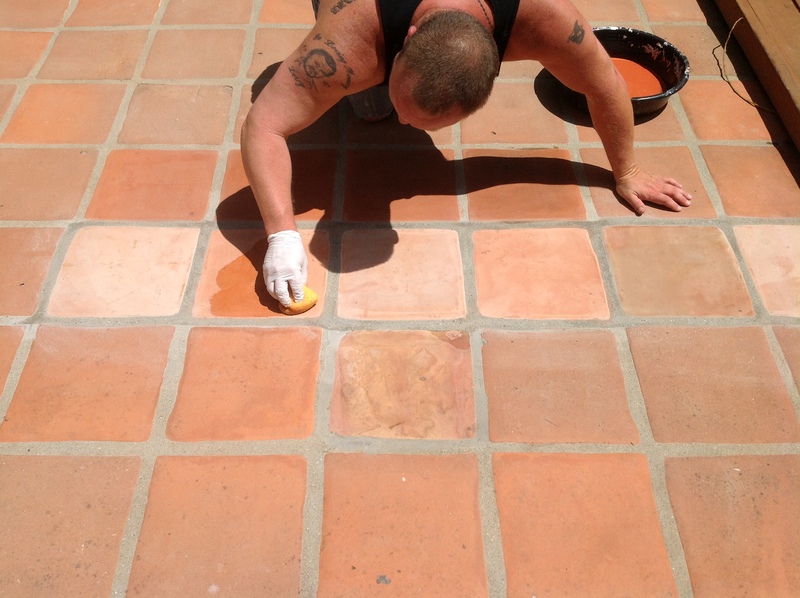 Our hands and knees staining is very intricate so that there is no visible stain showing in the grout unless you want the grout stained.